Home » Browse by Topic » General Interest » ImagYOUnation! A NEW Series with Two of our Top MproTV Stars: Valerie Sargent and Jackie Ramstedt! Become the best YOU possible through new skills and self-awareness. Manage yourself and your job more effectively with a clear understanding of how to read others. Gain new skills and insights to address the things that impact your performance, including emotions, procrastination, multiple projects, and those times when the boss needs it all yesterday. Do you ever wonder how you can be more, do more and create more success in your role at work? Are you curious about the things it takes to rise above stresses of the daily grind while standing out and displaying exemplary performance to those around you? Or maybe you’ve just been trying to figure out how to make a difference and/or get ahead. If any of this sounds familiar, perhaps you simply need a road map to ultimately figure out your destination while determining how to get there. Join the experts who know how to shake things up and make you laugh while you learn. Jackie Ramstedt and Valerie Sargent will magically gift YOU with the ability use your imagination, determination and initiative to explore it all further in “ImagYOUnation!” This series is specifically tailored to assist you with your growth, productivity and self-awareness, on personal and professional levels, regardless of your job title … these lessons are for everyone! Key takeaways will be a better ability to manage yourself and your job more effectively; clear understanding of how to read others; and new skills and insights to address the things that impact your performance such as emotions, procrastination, multiple projects, and those times when the boss needs it all yesterday. You can do it! Jackie and Valerie will show you how! Register: Browse the Episode Guide below and follow the “Register Here” links at the start of each show’s description to pre-register NOW for each episode you plan to view! Subscription: 2 45-minute episodes for only $19.95 each If you purchase access for the whole season, you’ll receive unlimited viewing for all shows watched from your IP address via your email address and password (that’s how we monitor usage) for one full year from the purchase date. Videos can be paused and returned to later, and “fast-forward” and “rewind” controls are also available. Keep in mind that our videos are hosted online, so if your computer goes into sleep mode, the video will time out. Once your login is established, watching on demand, anytime, is easy … even at 3 am! Many shows even offer bonus downloads you can access anytime, for example, workbooks to use during the video and lots of other useful resources! HOW TO REGISTER: Browse the Episode Guide below and click on the “REGISTER HERE” link at the start of each show’s description, then advance the calendar to the MONTH of the show you wish to view, and click on the episode’s DATE. You must pre-register for each episode you plan to view individually in order to receive the unique access code allowing you to enter the broadcast; so if you’re subscribing to the full series, please take a moment to pre-register now for each episode you’re purchasing. CLICK HERE TO PURCHASE Episode One: Overwhelmed & Overstimulated: What In The World Can You Do to Survive? Does it seem like you are constantly trying to keep up with everything going on in your life, at work and at home? Our world today comes with many daily pressures that put our time management skills to the test. It is easy to see how we can become overwhelmed and overstimulated while trying to manage multiple projects, learn new technologies and keep up with the demands that life places on our shoulders. Join Jackie and Valerie as they teach you how to handle it all with grace. Wouldn’t it be great if you had a crystal ball so you could understand what someone else was thinking? Well you do, if you tune in and understand how to read people in order to understand their motives and behavior. You don’t need to be oblivious. Simply exercise your powers of observation to determine what people need in order to meet their goals. Episode Four (Date To Be Announced): What if YOU Were The Boss? Would it Change Anything? There is a lot to be said lot about empathy, and how important it is to walk in another person’s shoes to appreciate their point of view. How often have you thought about what it would be like if YOU were the boss? Would it change your attitude? Your performance? In this episode, Jackie and Valerie will discuss the difference between individual and company goals and how to create better team performance by keeping your eye on the boss’ prize! Episode Five (Date To Be Announced): Your Promotability Factor: How to Be a Better YOU! Ray Kroc once said, “When you’re green, you’re growing. When you’re ripe, you rot.” In learning, we can never know enough. It is important to push ourselves and challenge ourselves to grow and be better people. Have you been trying for that promotion? Or you just want to enhance your performance? Learn what factors could impact your possibilities, and get tips on what you can do to increase your chances of moving forward and continuing success. Accountability and teamwork will help take you there. Do you drive yourself crazy sometimes because you are spinning your wheels and not getting everything finished? Is there someone else who is driving you crazy? In this episode, find out why you procrastinate and how to motivate yourself and others to reach goals and get things done. Jackie and Valerie will cover how to coach yourself to productivity and success while creating the life you want. 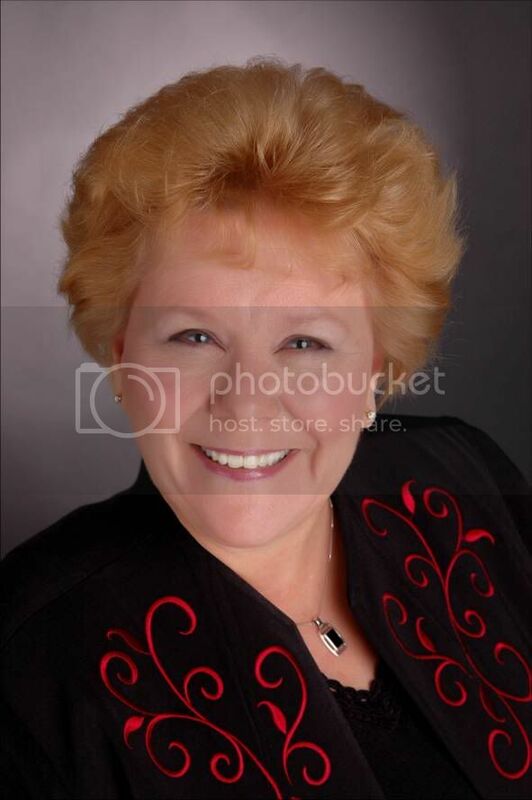 Jackie Ramstedt CAM, CAPS, CAS is a nationally renowned Motivational Keynote Speaker, National Trainer, Consultant, and Performance Coach who has more than 27 years experience in the multi-housing industry. She has spoken to thousands of industry professionals on a national level for the National Apartment Association, the Multi Housing World Conference, Multifamily Pro Annual Brainstorming Events, the Institute of Real Estate Management (IREM), Grace Hill, Inc. Educational Chat Forums, National Affordable Housing conferences, and numerous state and local Associations and management companies throughout the United States and Canada. Jackie is also a member of the prestigious Apartment All Stars Team national tours specializing in customer service, resident retention, leasing and management solutions. Jackie earned her CAM and CAPS designations back to back and her CAS (Certified Apartment Supplier) designation in 2001. Jackie was awarded the “first ever” 2008 Faculty Member of the Year from her local Austin Apartment Association, where she has served on the Board of Directors and Education Committee Chair. Jackie is an accredited instructor teaching all National Apartment Association designation courses as well as core and MCE courses for the Texas Real Estate Commission (TREC). Jackie’s is an accomplished author and her articles have been featured in some of the industry’s foremost leading publications. Her impressive clientele listing includes many of the national management and investment corporations in the United States. Her energetic and enthusiastic speaking style makes her seminars exciting with “real world solutions for real world challenges” empowering others to reach their full professional and personal potential through “balance” in their lives. Nothing is more contagious than enthusiasm! Visit Jackie online at www.JackieRamstedt.com. Valerie M. Sargent has a passion for teaching others and making a difference. She began her career in the multifamily industry over 20 years ago as a leasing consultant, guiding her career toward training and marketing. Today she is a dynamic presenter and consultant working with clients to unlock the dynamic power within their associates. Valerie is an invaluable resource to help tackle nearly any business issue a company may encounter, and she specializes in leasing, sales, customer service and leadership. Her engaging and humorous presentation style creates a learning environment that is exciting, inspirational and memorable. By providing cohesive, educational and motivating experiences, Valerie takes pride in helping companies create effective and productive teams who love their jobs. Areas of expertise include: Training, Marketing, Consulting, On-Boarding, Coaching, Team Building, Corporate Retreats and Leadership Conferences. Valerie is a Charter Member of National Multifamily Speakers Alliance. She resides in Newport Beach, CA, and currently volunteers for CASA (Court Appointed Special Advocates), an organization that advocates for abused or neglected children. Find her online at www.ypooleandassoc.com.